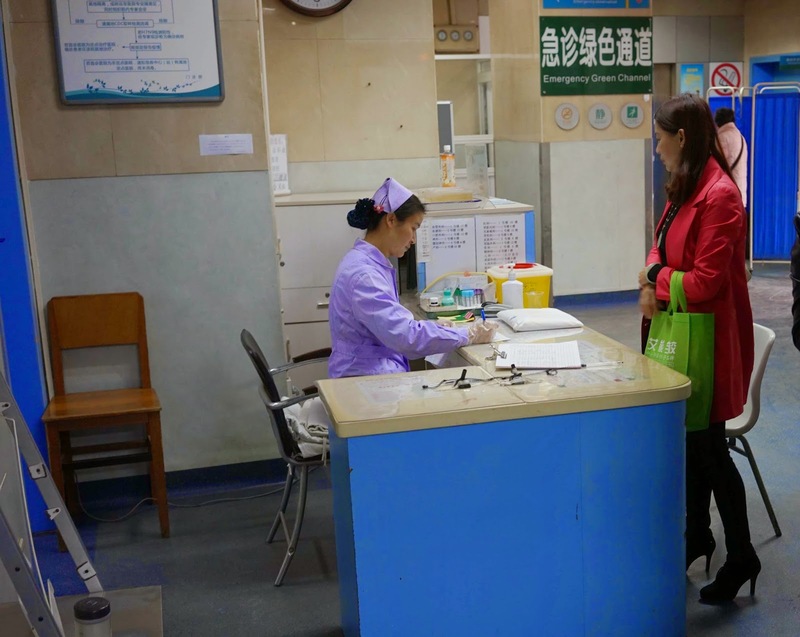 Only one in seven nurses in China undergoes a three year undergraduate training program, and many lack adequate training, medical educators have complained. In a letter to the Lancet, Liu Fengxia and colleagues at the Fourth Hospital of Hebei Medical University say that they are worried by the fact that most nurses in China not receive standard nursing training. Each year only 30,000 out of 186,000 graduate nurses earned standard bachelor degrees, they noted. Most nurses received only diplomas after brief training. The lack of education and the stressful working conditions mean that poorly trained nurses could make mistakes in patient care - and their lack of training may also be a factor in triggering violence against health staff. "Nurses are intermediates between doctors and patients. In our practice, we have seen misunderstanding and mistrust between patients and doctors most probably due to of the inadequate training of nurses. A more comprehensive training system for nurses is needed," they write. China's high rates of physical punishment of children amount to a culturally-accepted high level of child abuse, researchers have said. A major review found that 36% of children in China experienced physical abuse from parents, typically in the form of slapping and spanking for disciplinary reasons. They said the rates of physical punishment in mainland China were significantly higher than in other Asian countries, where the influence of western methods of parenting was stronger. The researchers said physical punishment was "culturally accepted" within Chinese society because the Confucian philosophy of parenting, which endorses parents’ authority and filial piety, is still prevalent in the minds of Chinese parents and children. "A well-known proverb “gun bang di xia chu xiao zi” (also translated as “spare the rod, spoil the child”) indicates that the filial piety is achieved by strict physical discipline of children," they noted. They said China's high rates of physical abuse were concerning because of the known associations with poor mental health and harmful behaviors, such as depressive disorders, anxiety disorders, eating disorders, childhood behavioral disorders, suicide attempts, drug use, and risky sexual behaviour. China's high use of coal for fuel has led to high rates of pneumoconiosis and "black lung", researchers say. In a Dow Jones report, clinicians said pneumoconiosis was common in mining workers and other coal-related industries, especially as workplace safety rules were often ignored in China. masks could help prevent pneumoconiosis but were often not provided to workers, they noted. The number of people diagnosed with pneumoconiosis has risen sevenfold from 2005 to 2013 to about 750,000, at an average pace of 35% annually, according to official data. And while treatment is available, it is often unaffordable for many low paid workers, labour activists note.